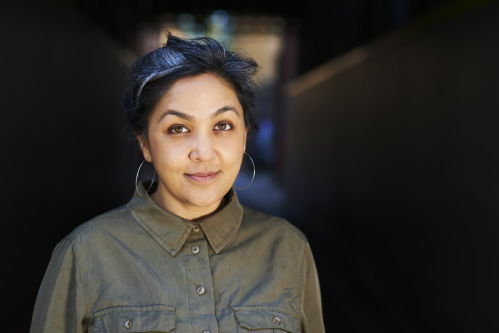 Preti Taneja is the author of We That are Young, (Galley Beggar Press, 2017), a Book of the Year in the Guardian, Sunday Times and Spectator (UK), The Hindu (India) and a 2018 Library Journal top 10 literary fiction book of the year (USA). We That Are Young has listed for international awards including the Prix Jan Michalski, the Shakti Bhatt First Book Prize and the Republic of Consciousness Prize, and is the winner of the 2018 Desmond Elliott Prize for the UK's best debut of the year. It is being translated into several languages and is published in the USA and Canada by A.A Knopf. Preti has over a decade of experience as a human rights researcher, writer and editor working in conflict and post conflict zones, and of teaching writing including in prison. She holds a Leverhulme Early Career Research Fellowship at Warwick University where she researches minority and cultural rights in those places via translations of Shakespeare in language and form.